“I happen to be the father of a 14-year-old boy who has Autism,” Barta said. Barta, who has over 30 years of experience in law enforcement, says it’s a personal connection and when the Madison County and West Tennessee Coalition of Health invited him to speak he jumped at the opportunity to educate. “We talk about some of the behavior challenges people with Autism experience. We talk about the communication challenges and we talk about sensory issues that affect people with Autism,” Barta said. 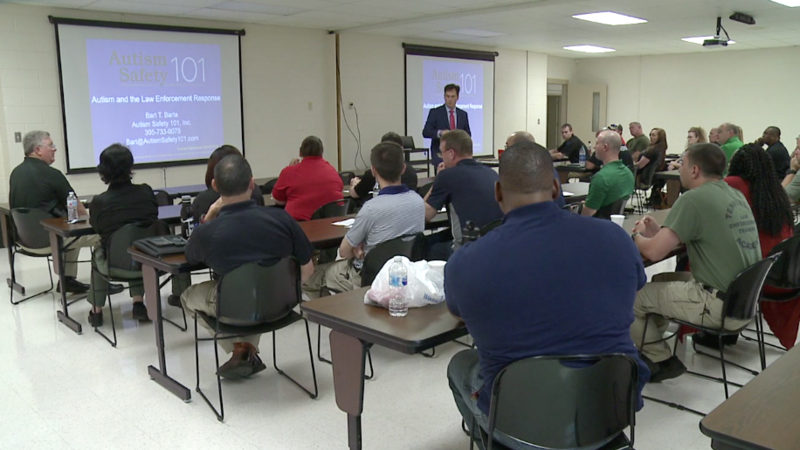 Law enforcement from all across west Tennessee attended the workshop at the new West Tennessee Training Facility. At one point Barta showed a video from an officer using force with an autistic teenager. “I have a son his name is Riley Murley with Autism. He is 8-years-old and is nonverbal and he was diagnosed around 2 years old,” Barta said. Murley works for the Madison County community corrections office and says there’s never a day he doesn’t think about his son. “Everyday, everyday, my son is nonverbal and can’t communicate. 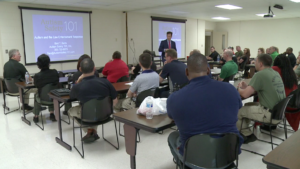 This training is going to be beneficial for all law enforcement officers,” Clint Murley said. Barta says studies show 1 out of every 59 children are diagnosed with Autism.